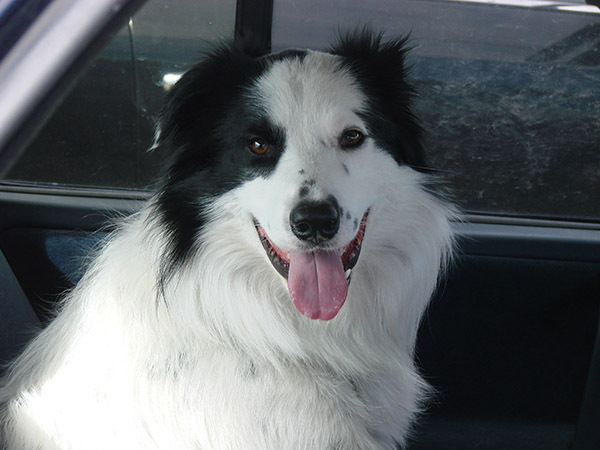 Plexidor Pet Doors: Do your pets like to go in the car? There are many dangers involved with leaving pets in cars. One is temperature - if it's just 72 F outside, the temperature inside your car can reach over 110 F in less than an hour. If it is 85 F outside, the temperature inside passes 100 F in less than 10 minutes. Most pets handle cold better than heat, but that can be dangerous too. Also consider the risk of theft. Every year, cats and dogs are stolen from cars, sometimes along with the car. Unrestrained dogs in vehicles drive us nuts and the on top of it hanging out the window! Not only dangerous, but really bad for our eyes! In convertibles we always wear our doggles to protect our eyes. We also wear seat belts from day one on. We have a brand from Germany, and as you know, with the Autobahn, they take safety seriously, and we believe in our seat belts. That's awesome, Emma! Around here a lot of people drive around with their dogs on the beds of their trucks. It is so dangerous, and gives me nightmares about a dog jumping out.